Bad weather doesn’t exist if you dress accordingly and properly. And nothing ruins fun like getting cold, wet or, in the worst case scenario, both. The winter wonderland of Lapland is best experienced with proper cold weather gear – so you don’t have to rush inside to defrost your face, feet or fingers when, say,  an aurora is exploding above you. 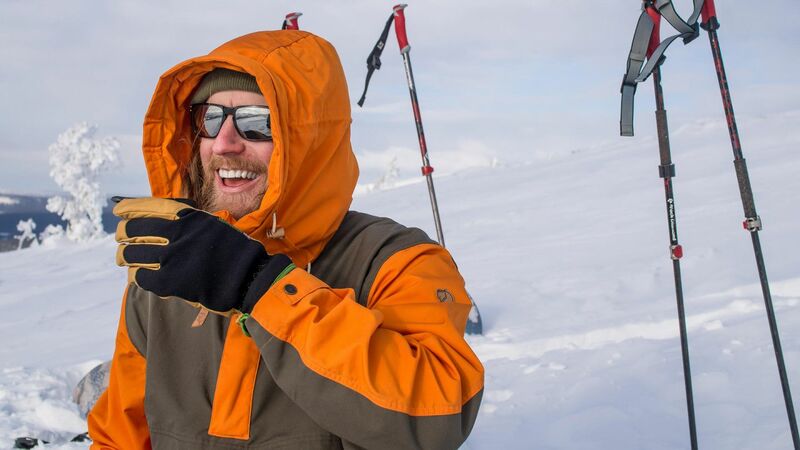 Let us guide you through the basics and share a few arctic hacks to keep the smile on your face at all times. It’s vital for both your comfort and also health to dress accordingly. A thick overall jumpsuit might suit if you are staying still or riding on a snowmobile. But if your plans include hiking or moving about, use layers so you can remove or add layers of clothing according to your activity and in changing weather. In the winter, you should consider four layers for your top and bottom: 1) base, 2) mid, 3) insulation and 4) outer layer. Proper footwear, gloves and headwear are perhaps even more important. We will cover all of these. Let’s start with which materials to look for when packing your bag for your trip north. 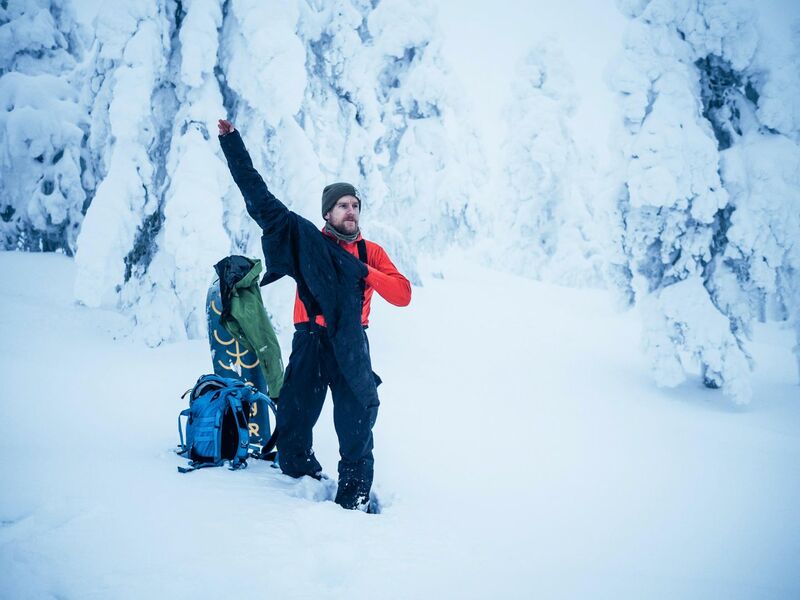 Bringing a backpack is indeed a wise move, since you can carry an extra set of gloves, hat and an extra insulation layer just in case the temperature drops, or for breaks when you stay still. We can learn a lot from the animals living in these cold, sometimes even harsh conditions throughout the year. Take for example the reindeer: they grow a thick winter coat that traps air between the fur. Air that stays still works as great insulation. Looser clothing, puffy jackets and slightly larger footwear with an extra sock are all good choices in the arctic winter. There is a chance of getting wet in the cold too: you might sweat or get wet from the snow. This calls for moisture wicking materials that keep you warm even when moist. First, avoid cotton in every layer. Cotton is not only uncomfortable, but also potentially dangerous in freezing temperatures, especially against the skin. Cotton will get wet, stay wet and eventually make you cold. Try comparing wool and cotton yourself, and you’ll see the difference. Merino wool is very much the perfect material for winter socks, underwear, first layer and your beanie too. Wool keeps you warm and transfers moisture away from the body. It works. Even when wet. Thin wool garments will work like a charm in warmer weather too. If you want to avoid animal products, synthetic performance materials that mimic the qualities of wool make a good substitute. The basic idea of layering is that you can take off or put on layers when needed. The weather can change, you might have misjudged the conditions or you have active and inactive periods on your trip you need to consider. When dressed in layers, you can adjust. Extra pieces of clothing can be kept in a backpack, alongside water, snacks, a headlamp, camera and other equipment. A good backpack is worth investing in, as it can serve you for decades at best. 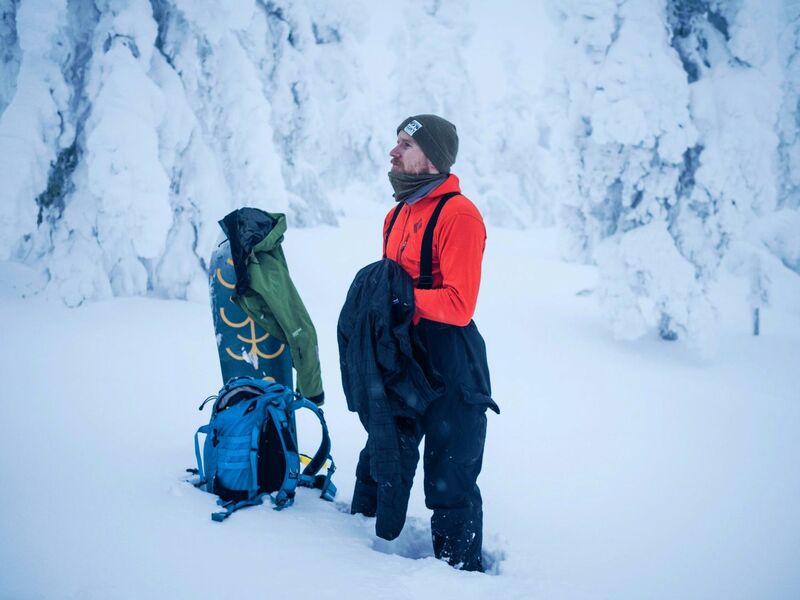 When you invest in proper pieces of clothing like a quality base layer and a shell jacket, you can use them without the insulation all year round when needed – not just in the winter. You get more value-in-use out of your garments. The base (or 1st) layer is the layer of clothing on your skin. Start with thick socks, long underpants and a long sleeve shirt. Pick materials that keep you warm and your skin dry. Synthetic performance materials work, but try merino wool. It doesn’t tickle or itch like regular wool does for some people. For the coldest of days, you could even wear two sets. A thin one next to skin, and a thicker on top. The mid-layer (2nd) should keep you warm. Material-wise you can pick wool or fleece. Fleece or woolen pants work great as a mid-layer on the coldest nights, or paired with thin outer pants without insulation. Wool pants don’t need to look ugly. 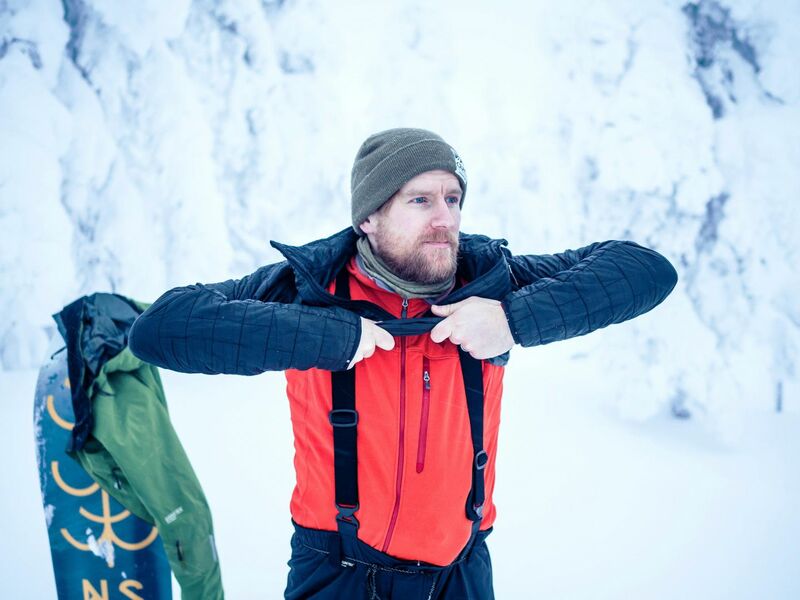 Many Finnish design brands make neat stuff from wool. What’s best, they’re super comfy to lounge in back at the cabin. The insulation layer (3rd) should be a lightweight down or synthetic jacket that you can keep in your backpack and put on when you need extra warmth. A light jacket is a great item to always have with you, just in case. You could also wear it without a shell jacket. 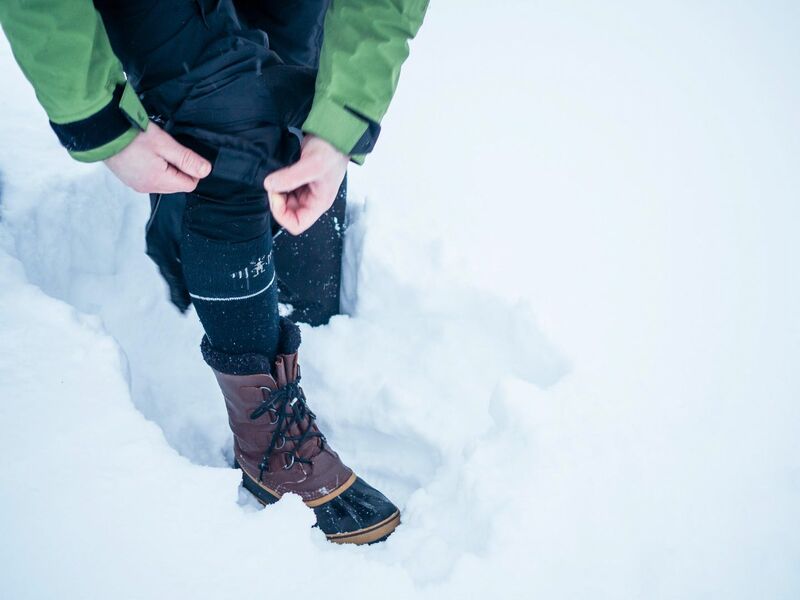 You don’t usually need a third layer for your lower body, but those who get cold easily can try, for example, down pants. 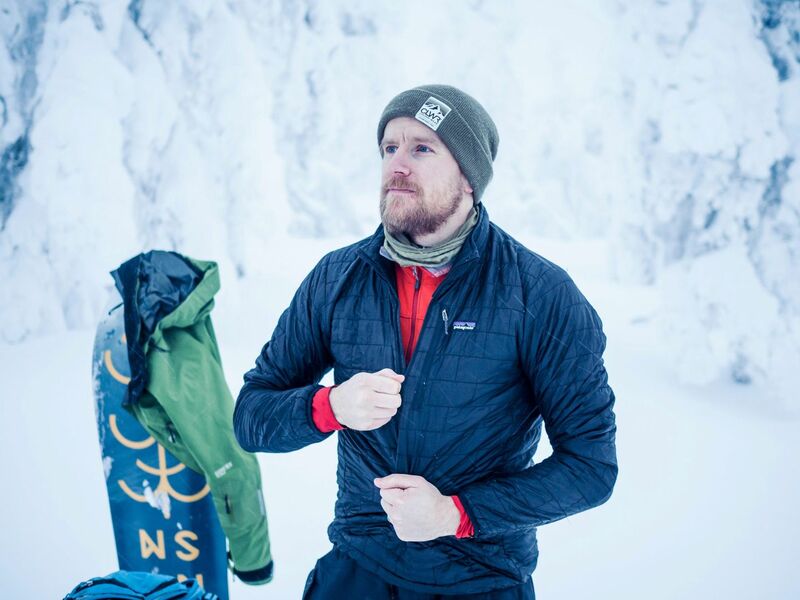 Optionally, you can wear another set of your base layer under the mid-layer for a bit of extra warmth. The outer layer (4th) should protect you from wind and moisture and have adjustable ventilation for active periods. Look for waterproof and breathable garments. A shell jacket or even a thicker insulated jacket with a wind- and waterproof shell will do. 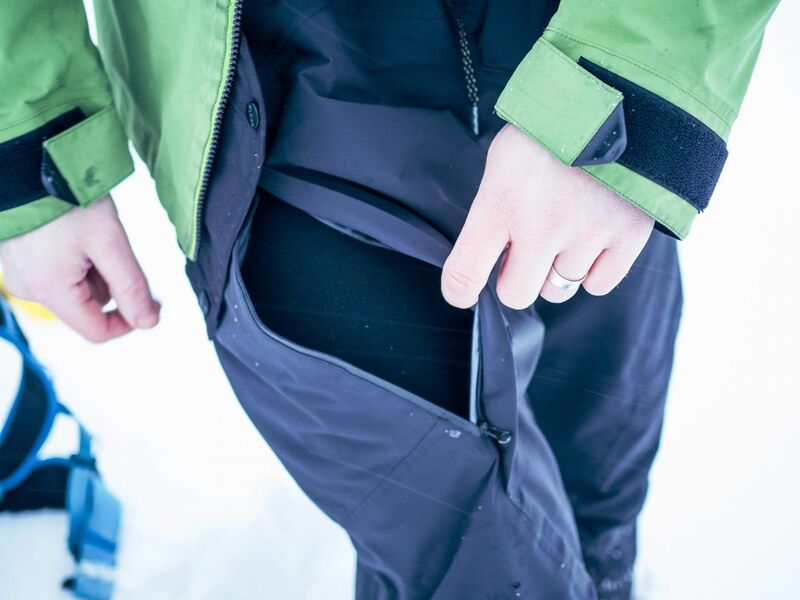 Pick pants and a jacket which have ventilation zippers, so you can open them up if you get too warm when hiking. A high collar and a hood in your outer jacket will protect you from the wind, so they are useful features to look for, too. On the coldest of days, or for breaks, you can even pair a light down jacket with a thicker one. Keep your legs warm. Nothing ruins a trip like cold feet. Pay attention to your boots. Pick ones with a higher bootleg and thick soles. Take a pair that is slightly loose and add extra woolen socks. 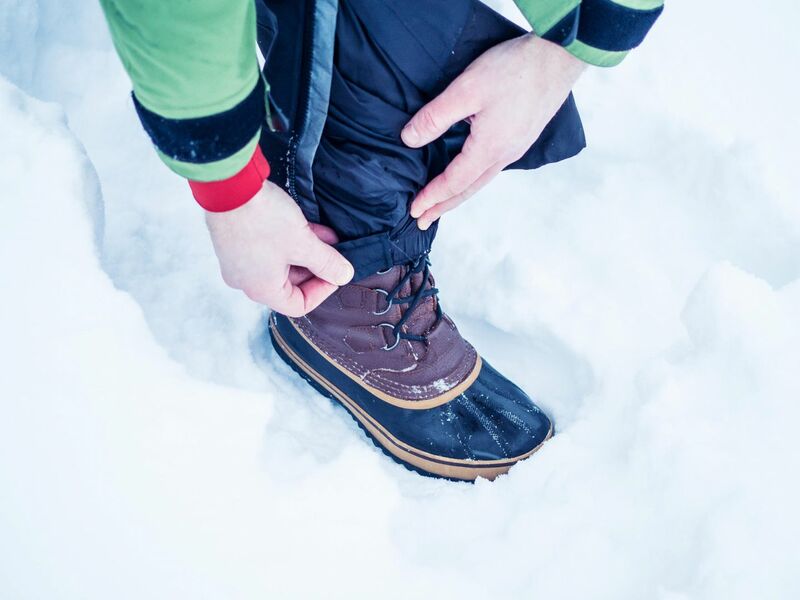 Winter boots can be 2-3 sizes bigger than your normal shoes! 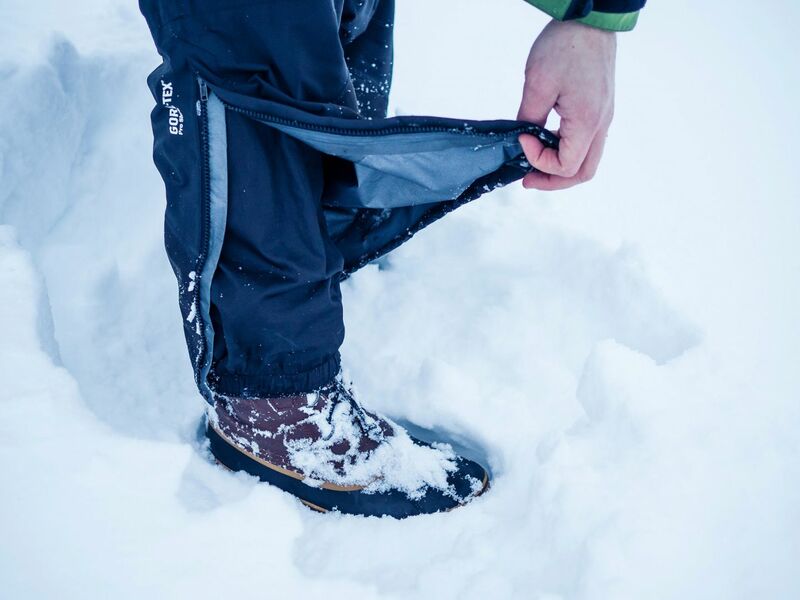 Your pants should have snow locks to keep snow from getting inside your boots. Pull them over your bootleg. Good models have a clip to secure the snow locks to your boots. You’ll need them when ploughing through deep snow. Some people use separate boot- or handwarmers too. If you are easily cold, you should ask outdoor stores for more info. Mittens keep your hands warmer than gloves, as there is more air surrounding your fingers. If you plan on operating a camera, you might want to wear thinner gloves underneath for fidgeting with the controls. You’ll quickly freeze your fingers if you need to do stuff barehanded. Pro-tip: always pack extra gloves and a hat if you are moving around. One lighter set for active time. One heavier set for breaks and staying still. Pick a hat that protects your ears. 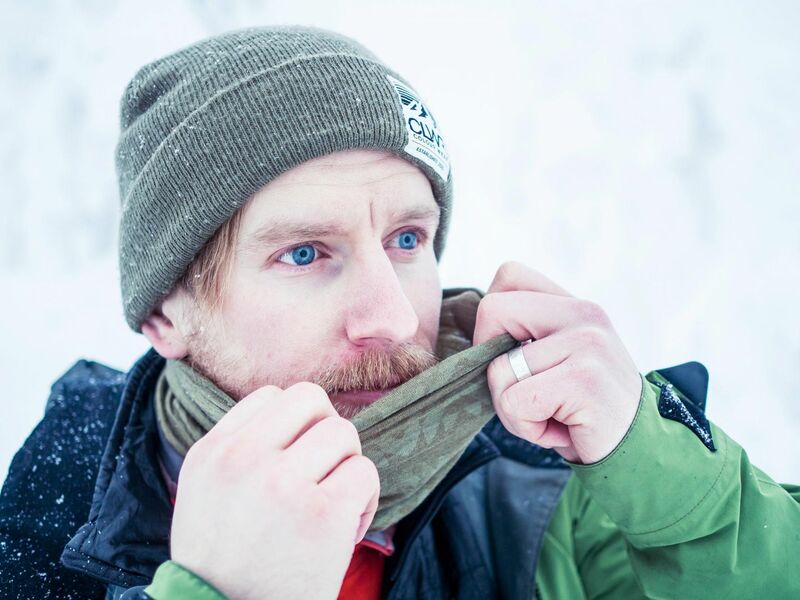 You should also consider a balaclava, neckwarmer or a scarf to protect your neck and face from the cold. If you are doing sports like snowmobiling, skiing or snowboarding, you should wear protective gear like a helmet, which will also keep your head warmer. Ski goggles are a smart choice for downhill sports and tobogganing too! 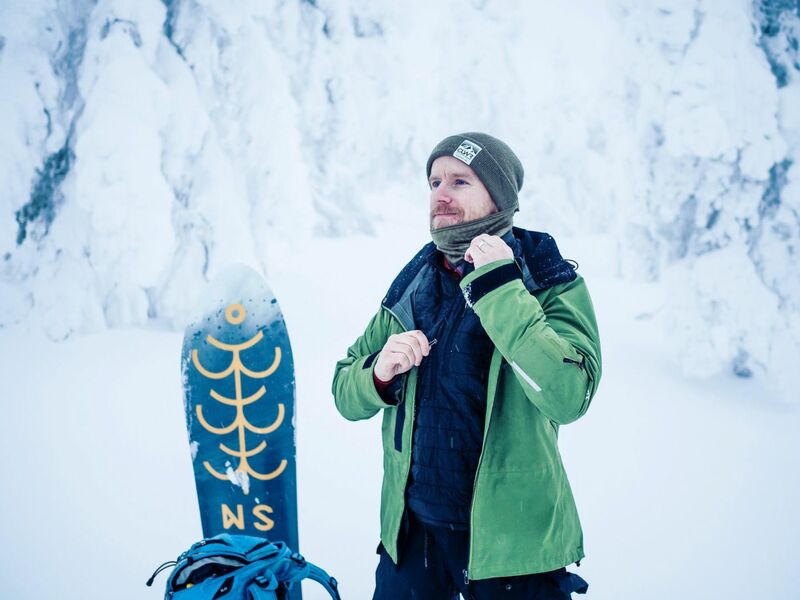 By following these tips, you’ll be ready and prepared to take on any winter adventure in Lapland with confidence. Last, but not least: remember to take food and water with you on adventures. Your body needs energy to stay warm. Finally, the perfectly justified reason to pack a chocolate bar or two!